It's a Dude first. 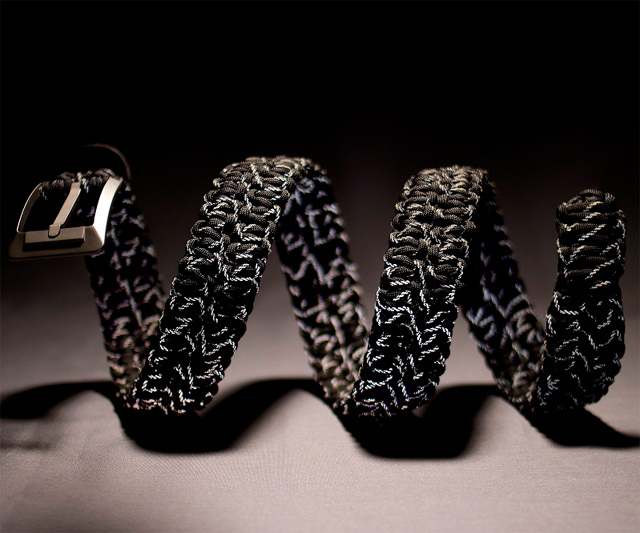 Rattlerstrap has designed the Venom, a limited edition paracord belt, just for our reader giveaway. 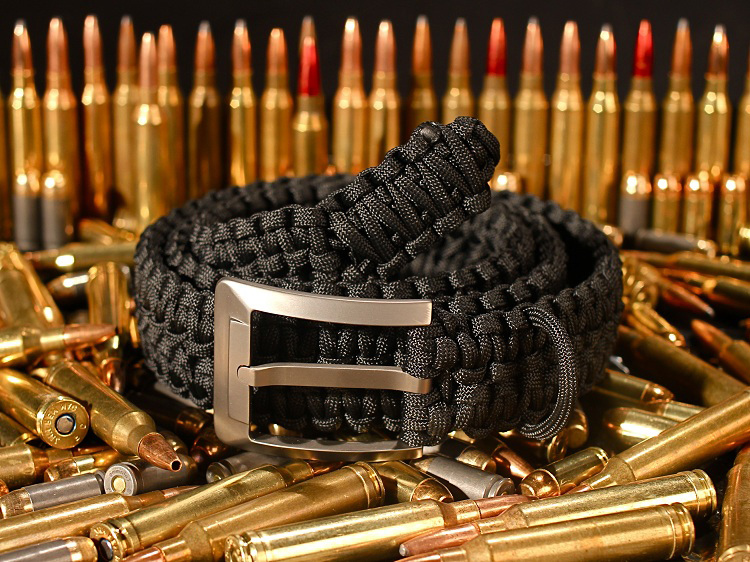 Which means the winner will be the first--and one of the only--marines, bush pilots, hunting guides, photographers, survivalists, dads in khakis, or any of the other typical Rattlerstrap wearers out there to own this truly boss hand-woven belt (a $117 value). To enter, take 60 seconds to fill out the entry form below, and then Like, Follow, and Tweet your way to up to 4 chances to win. Keep reading to learn more about Rattlerstrap's superior quality and functionality, plus the coveted poisons their Dude-tailored Venom model will inject into your pants. 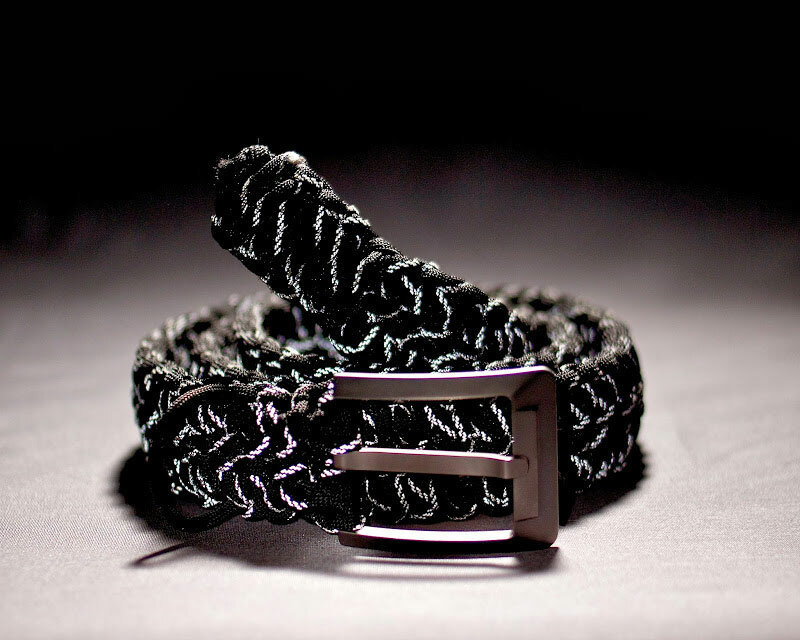 Rattlerstrap designed the Venom with reflective material laced through its black paracord. But don't worry, it won't make you look like you've willingly bedazzled your crotch. The material shines only when the observer and a light source are aligned, so it adds another layer of safety to the belt. Mostly for the people who see you. So they know they best keep their distance and not F with the snake. And if you're wondering if the Venom belt will also equip you to battle Spider-Man, well, all I can say is: there's only one way to find out. Fit for everyday wear. Rattlerstrap notes, that, "The cord can only come in useful if you have it on you at all times." 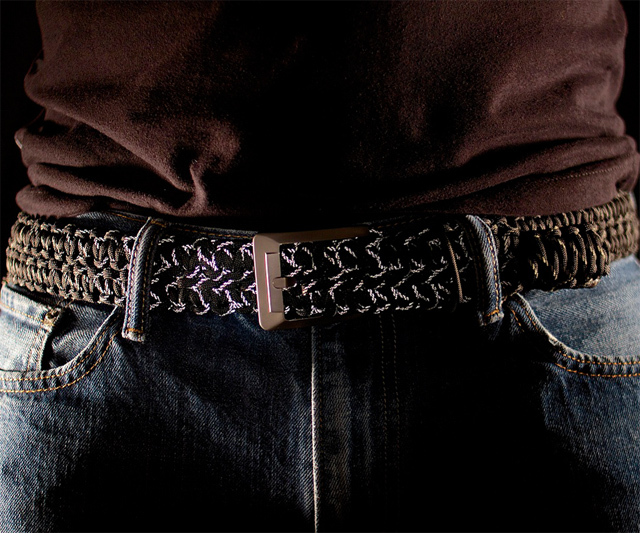 Belts have been fashioned for frequent, long-term use. Fit for survival. Depending on belt size, Rattlerstraps' Type 3 commercial, 550-pound paracord unravels to between 80' and 130'. Apply it to everything from rescue efforts and aversion of life-threatening situations, to making snares, tourniquets, shelters, and tie lines. Or just rappel it for the hell of it. Cords also strip down to smaller threads for sewing, stitching, and fishing. Fit for travel. Rattlerstraps are fitted with titanium buckles, which are non-magnetic and pass through TSA devices without giving authorities a conniption or or you an extra 10 minutes of hassle. Belts are also devoid of hard edges, and the cord's rounded nature ensures comfort over long periods of sitting. Fit for all sizes. 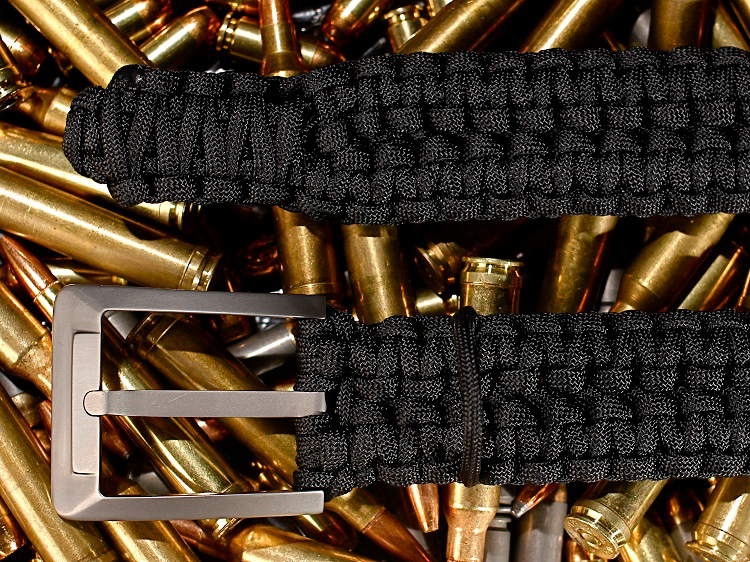 Custom made to order, Rattlerstraps offer individual sizes for perfect fit, up to 54". Belts are also precisely adjustable--no meager row of 4 not-quite-right-space holes, no poking new ones--so weight loss or gain are accommodated flawlessly.